Interested in our Consulting Services? Students become news reporters in this project. 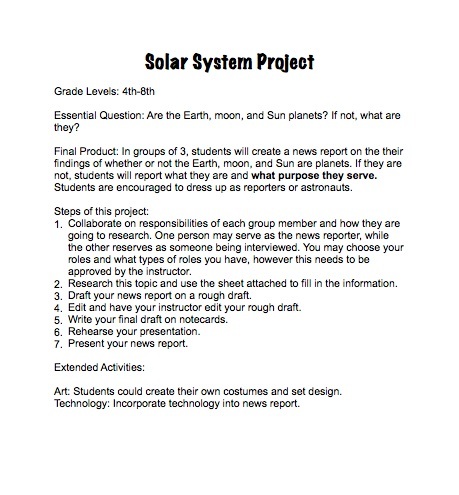 Students are assigned an essential question: Are the Earth, moon, and Sun planets? After researching, students are to give a news report on the topic. This document also includes a fill-in page students could use while researching.